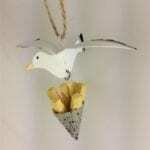 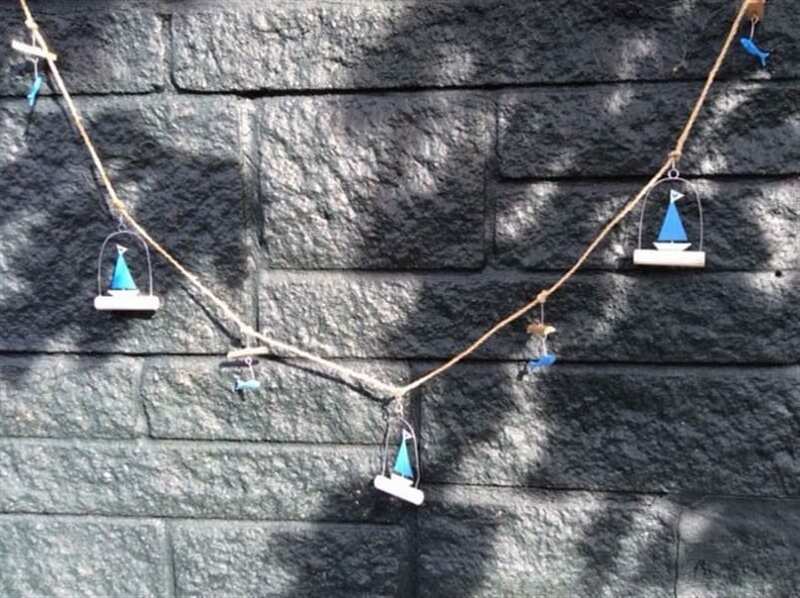 A simple but beautiful nautical garland. 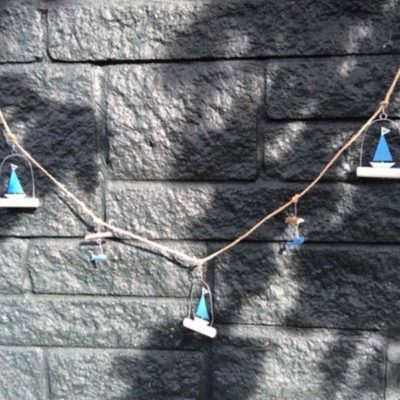 The Cerulean nautical garland is very simple but very beautiful. 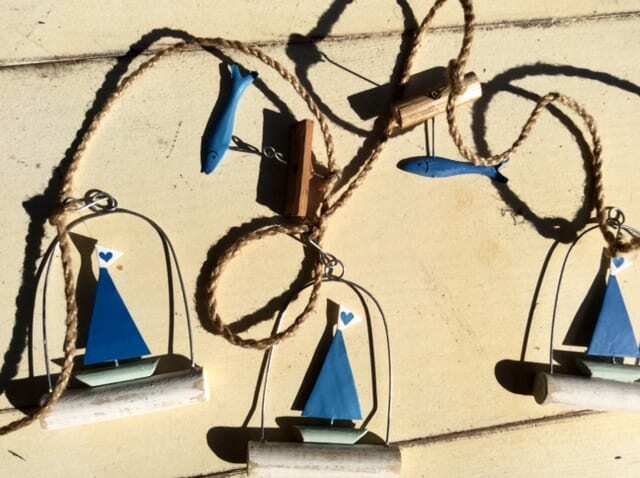 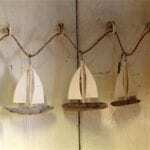 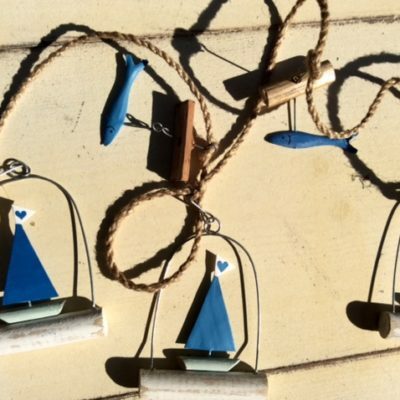 Comprising of three boats and four fish, it is made using natural jute, driftwood and tin and all hand painted in a beautiful cerulean blue.